Decide which is more important to your story – the history or the fantasy. It’s okay to have an epic fantasy story that just happens to be set in past somewhere on Earth. It’s also okay to have an accurate, believable historical fiction story that just happens to have some magical or supernatural elements. You as the author need to decide what kind of story you’re telling, and how much the magic or the history matters. Even if the fantasy is more important, get the history right. If you want to feature a real event or real historical figures in your story, then you need to make sure you get those things right. Even if the fantasy element is more important to your story than the history element, there will probably be history buffs who read your work—and they’ll be quick to point out if you messed up a fact. Don’t stress too badly, though, especially if you’re still in first draft stage. Just make sure you do your research. This is the most important factor. If you’re writing a steampunk/gaslamp fantasy story set in 1800s Paris and you’ve been pretty vague with the historical details because the magic and supernatural elements are key to the story, then stick with that all the way through. If your story is a historically accurate retelling of a real event, but just with supernatural overtones, then don’t suddenly bring in magic swords and high fantasy halfway through. Establish the rules of your world and stick with it—whether it’s more fantasy, more history, or an even blend of both. 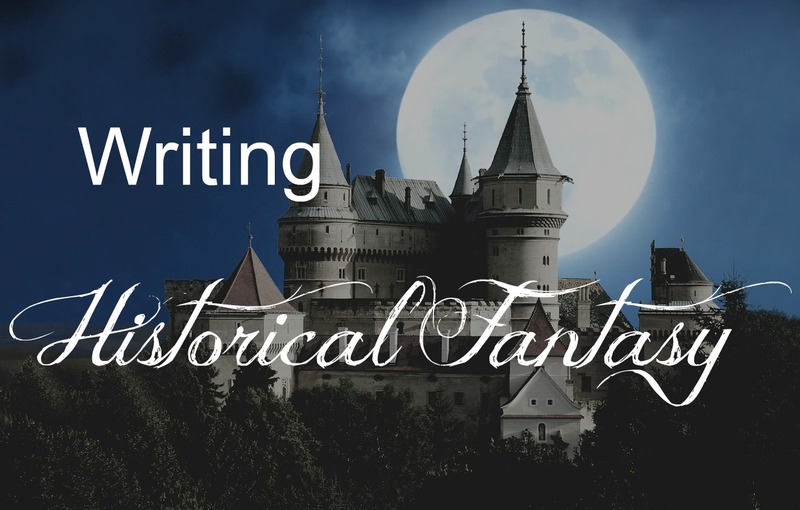 There are as many ways to write historical fantasy as there are stories to tell! Have you read or written historical fantasy? Quick question: when writing a fantasy series what should I be more descriptive about? If I focace on the plot is it okay to overlook some of the “surroundings” description? Finding the right balance between plot and description is one of those eternal questions that we writers constantly struggle with! 😛 My advice, though, if you’re writing a fantasy series, is to write whatever is easiest and most important to you in the FIRST DRAFT. Then in the second draft (and however many further drafts you might need), you can add detail, remove detail, smooth out the plot, etc. For example, some people write their plot and dialogue in the first draft and don’t do much world building or description, resulting in a story of “talking heads in a blank white space.” Then in later drafts they give detail to the world. I, on the other hand, tend to focus on description of setting, providing so much detail that the plot almost becomes an afterthought. Then in later drafts, I trim down the description. Either method is fine. With something like fantasy, at least some description is vital, because you’re introducing the reader to a world that they know nothing about (the same goes for historical fiction, or the historical fantasy blend). You don’t need to spend 3 pages describing someone’s clothing or how the king’s throne room is decorated, but you do need enough description so that the reader can be fully persuaded that we are not in the 21st century on earth. I think the good advice is to decide what is more important in the story. My own historical fantasy is equally historical and fantasy and that’s proving a very hard point. Apparently, readers (as well as all other people involved in publishing) like to know what they’re reading and they don’t like to be unsure where to place a story. Would I write the same story now I’ve learned this? I might want to tried and address the problem a lot earlier, though, and may come up with a solution far before the book is published. Wonderful advice! I definitely agree with staying consistent and accurate historically speaking. But I find that I do need to learn to be okay with a few historical inaccuracies here and there because it is fiction after all. I ways stress out too much about being accurate, and sometimes I get so frustrated when a certain aspect of the plot is historically inaccurate, I create an entirely new world based on the historical country I was writing in. You make an excellent point, that historical fiction is just that – fiction. Historical accuracy – even with historical fantasy – is important, but don’t let the stress of being accurate ruin a good story! Thanks for reading and commenting!